Forgive the brevity on this one...but with a show like Lee David Zlotof's MacGyver (1985-93), what you see is what you get. Almost immediately popular with audiences for its international locales, adventure, and the undeniable charisma of star Richard Dean Anderson, this series served as the lead-in for ABC's Monday Night Football during six of its seven seasons and is still firmly anchored in American pop culture. Even if you've never sat through a single episode, you've likely heard the phrase named after its main character: MacGyver is synonymous with using creative, resourceful solutions rather than brute force. 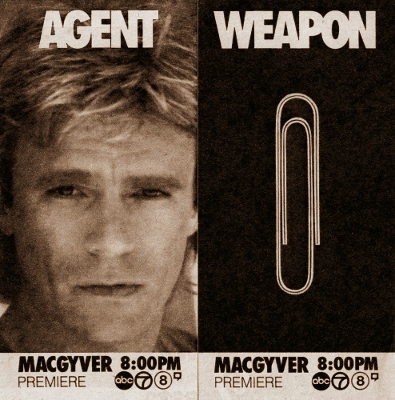 Case in point: our leading man uses paper clips and chewing gum to take out powerful enemies all around the globe, whereas lesser heroes might just whip out a .44 Magnum. Where's the fun in that? It's an admittedly great (and for the time, ambitious) idea for a weekly television series, even if the limited budget of its earlier seasons occasionally gets in the way. Still, that's part of the show's bread and butter: when your lead character's tools of of choice are a matchstick and duct tape rather than a rocket launcher, it's easy to cut corners. 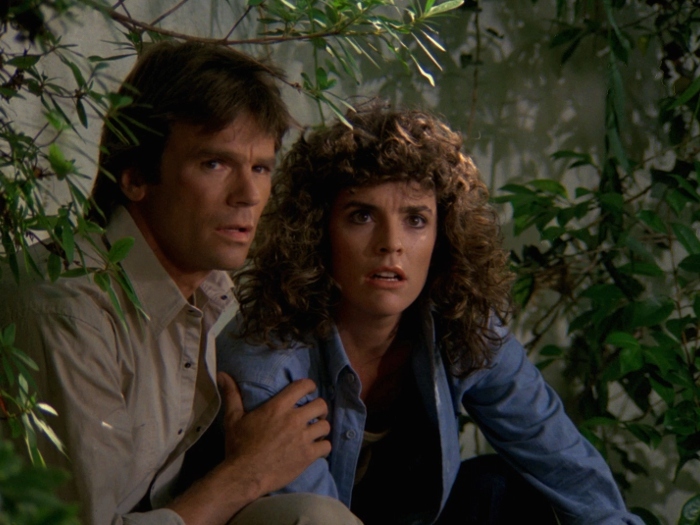 Typical episodes go like this: after a short cold open escape sequence -- dubbed an "opening gambit" -- MacGyver transitions into a related mission with a clear objective, such as freeing an international hostage or sneaking into a high-ranking criminal's headquarters. Those resourceful solutions are a regular part of the viewing experience: from cleverly-timed distractions to traps executed well in advance, these feats of engineering genius are still extremely fun to watch and will keep new viewers guessing every step of the way. 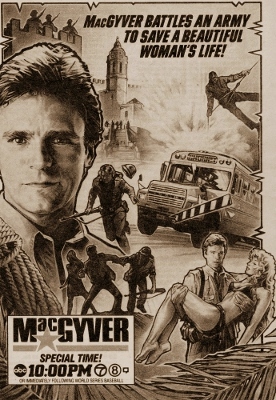 Toss in a few notable guest stars, terrific cinematography, and of course Anderson's obvious charisma, and it's no wonder why MacGyver lasted as long as it did. Despite its slim budget, this premiere season of MacGyver maintains a fairly good batting average of solid episodes: you won't find many "series best" outings out of the 22 contained here...but on the other hand, there aren't many clunkers either. "The Gauntlet", "The Heist" (gotta love the ridiculous villain), "Target: MacGyver", "Nightmares", "Countdown", and "The Assassin" are all personal favorites, while less impressive ones like "Golden Triangle" and "To Be a Man" are entertaining enough and not, well, offensively bad. 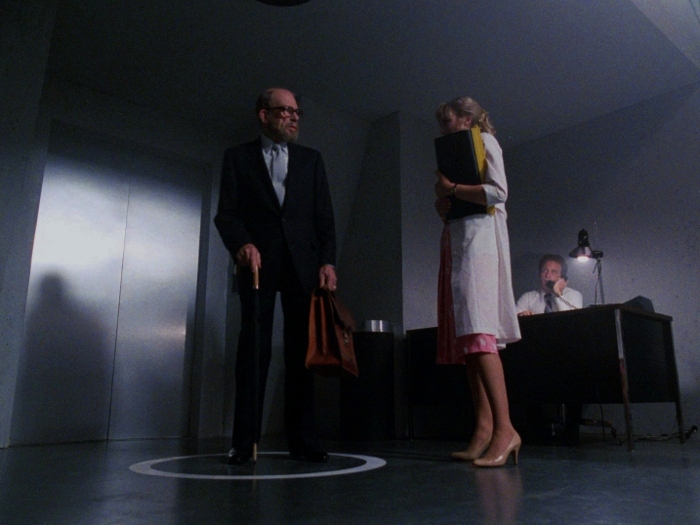 Even the pilot episode, despite creative differences behind-the-scenes that led to director Jerrold Freedman invoking the "Alan Smithee" pseudonym, finds the series in fine form right out of the gate. I hadn't seen some of these episodes in more than a decade and, for the most part, they still offer a fun ride. Presented in its original TV-friendly 1.33:1 aspect ratio (thank goodness), MacGyver looks exceptionally good on Blu-ray -- certainly miles better than its 2005 DVD counterpart. There's a good reason for that: similar to CBS' lavish restoration of shows like Star Trek: The Next Generation, MacGyver was basically re-assembled from the original film elements; prior to this, its original masters were edited on videotape for broadcast and DVD. As a result, the globe-trotting MacGyver quite literally looks like a brand-new series and, in my humble opinion, that's more than enough reason for even the most casual fans to grab this collection immediately. (Don't even put it on your Christmas list, just buy it now.) Image detail, textures, color saturation, black levels, and contrast are all miles better than before, while film grain levels are also left intact. The only mild issue here? Not all the original footage could be located, so a handful of scenes here and there are more or less upscaled versions of what the show used to look like on home video. Pessimists will see this as a not-quite-perfect presentation...but I'm more than happy with CBS' Herculean efforts, and at the very least you'll be able to tell how much of a difference they made. As a separate aside, the only defect here is occasional white speckling seen during two Disc 1 episodes, "Thief of Budapest" and "The Gauntlet". It's more likely that this was due to an oversight in the transfer process instead of an unavoidable problem with the original elements, but it's certainly not a deal-breaker. No word has been given about the possibility of a disc exchange program, but I'll keep you posted. DISCLAIMER: The images on this page do not necessarily represent the title under review. Trailing a distant second is the Dolby Digital 2.0 audio, which for whatever reason wasn't at least encoded as lossless. (Although it likely wouldn't have made a night-and-day difference, every little bit helps.) Even so, let's focus on what we've got here: MacGyver was made in an era where TV shows simply didn't sound like movies yet -- hell, most action/adventure movies from the mid-1980s didn't sound all that great either. 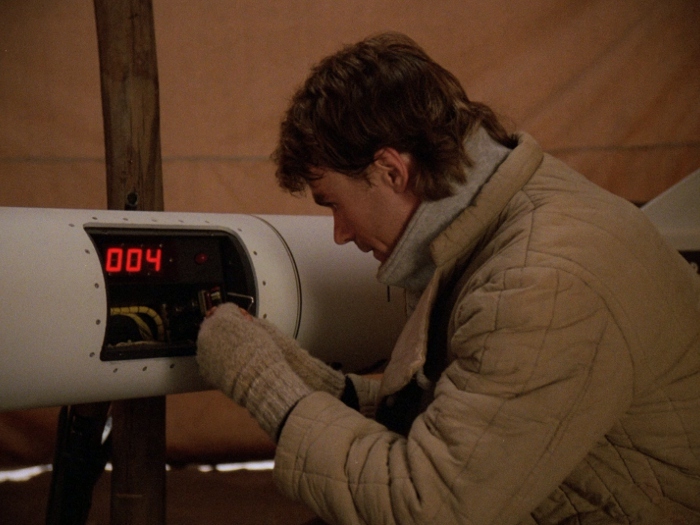 Explosions, gunfire, and the like don't have a great deal of punch or dynamic range, and only MacGyver's synth-heavy score occasionally ventures into lower territory. Still, the dialogue is clean and crisp, and wide-open scenes showcase a decent amount of depth and channel separation. Optional English SDH subtitles are included, as well as French and German dubs/subs. Oddly enough, they occasionally identify locations (Washington D.C., etc. ), and no separate track exists with only this information left intact. 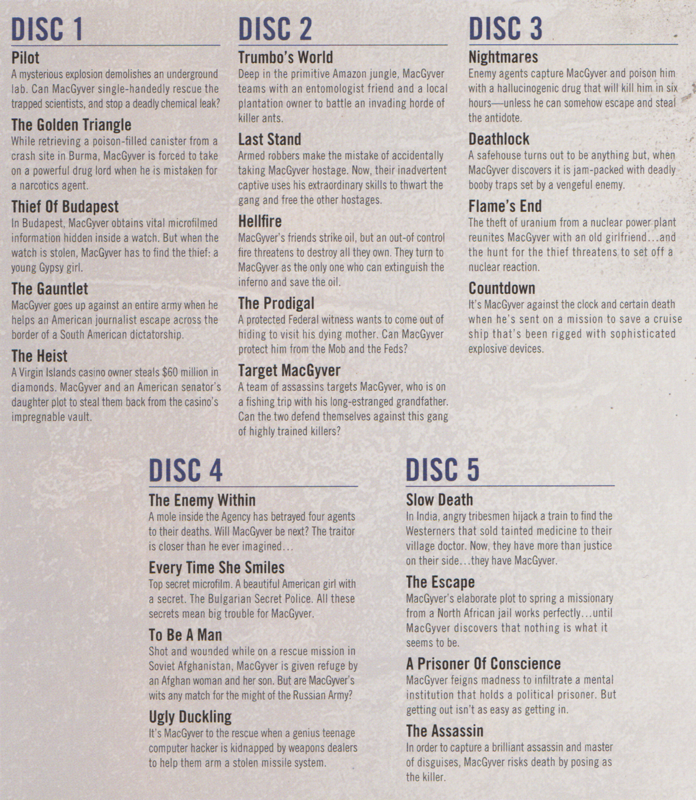 This five-disc set is packaged in a multi-hubbed keepcase with two-sided cover artwork that includes an episode listing with summaries (repurposed above for your convenience) and a matching slipcover; all told, it only takes up about the width of a standard DVD case. Unfortunately, there are no Bonus Features -- all of the budget likely went into MacGyver's restoration, and that's just fine in my book. As durable and entertaining as its lead character, MacGyver burrowed deep into American pop culture back in 1985, running for seven seasons with almost 150 episodes to its name. Although this series is typically regarded as more of a guilty pleasure these days, it's still perfectly watchable and the relative lack of serial storytelling means that you can just pop an episode in every so often and enjoy yourself. But the biggest selling point of CBS/Paramount's new Blu-ray collection is the stunning restoration: unlike those old DVDs, MacGyver is no longer bound by the constraints of its old videotape masters -- and while it might seem like an unlikely candidate for such royal treatment, the wide range of locales and reliably good cinematography really shine in high definition. Even with a few nagging complaints and the complete lack of bonus features, this one gets an easy pass for fans and curious newcomers alike. Firmly Recommended.